As the headquarters of West Coast foodie culture, San Francisco is home to must-visit restaurants in every category: fine dining, casual and even walk-up counters and food trucks. As of 2018, San Francisco boasts a huge number of James Beard Award winners and seven restaurants that hold three Michelin stars. The Bay Area as a whole is home to 55 Michelin star eateries. Today, we’re celebrating a few of our favorite award-winners. From the top honor—Outstanding Restaurant—to best chefs, best pastry chefs and even best design, these are all must-visit destinations for any foodie, visitor or local in San Francisco. Named for the highway which runs across Italy from Napoli to Bari, A16 is San Francisco’s perfect combination of pizzeria and wine bar. 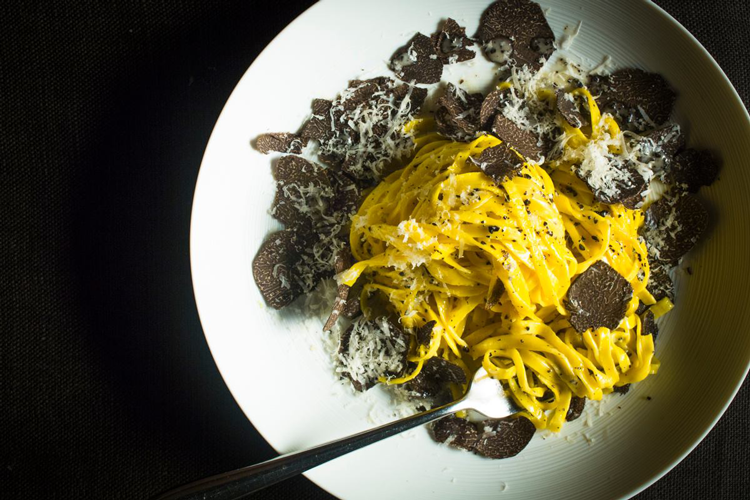 The menu of rustic foods includes fresh pasta, house-butchered and house-cured meats, and authentic Pizza Napoletana created by Executive Chef Nicolette Manescalchi. And the wine program, which won an award in 2015, is directed by Shelley Lindgren today and highlights indigenous grapes from the Italian Campania region and nearby areas. The award winner here is the mastermind behind this San Francisco restaurant: Dominique Crenn. In 2018, she was named the best chef in the west which makes all three of her projects—Atelier Crenn, Bar Crenn and Petit Crenn—worthy of a spot on our list. Atelier Crenn opened in January 2011 as an homage to Dominique’s family and heritage. Inside the homey and luxurious dining room, guests enjoy a multi-course experience focused on seafood and vegetables, inspired by memories of her mother’s garden in Brittany, and filtered through the lens of California products and produce. 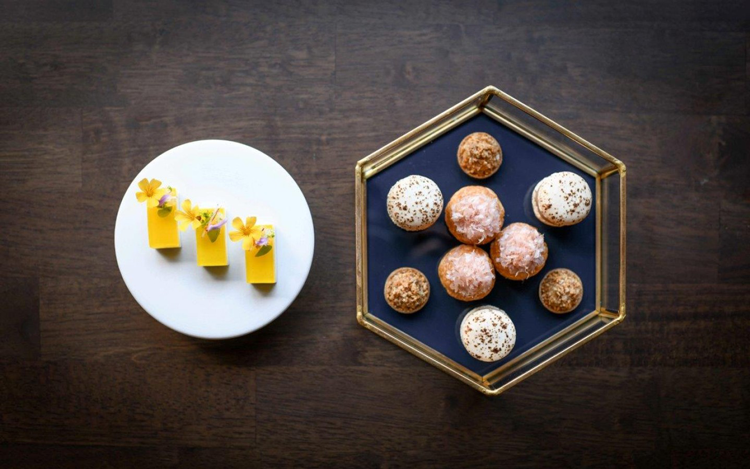 The brainchild of chefs and James Beard Award winners Belinda Leong and Michel Suas, this open pastry kitchen produces French-style pastries with local influence and ingredients. Here, you can grab an individual cake, a few entremets, tarts, verrines, macarons, viennoiseries and tartines made with housemade levain bread. When you do, you’ll be treating yourself to some of the best in the country! This contemporary tavern has a cocktail menu that celebrates the rich tradition of farmhouse distilling and a food menu with ingredients sourced from local organic and biodynamic farms. Though the food menu changes daily and the drink menu rotates regularly, you’ll always find a refreshing blend of classics and new creations. The design was executed by Aidlin Darling Design, headquartered right here in San Francisco, which landed them a James Beard Award in 2011. Corey Lee had already earned a James Beard Award during his time at The French Laundry. So when he opened Benu in 2010, the city was buzzing. The restaurant has gone on to receive three Michelin stars, four stars from the San Francisco Chronicle, and the AAA Five Diamond Award. Then in 2017, he was named the best chef in the west! Make your reservation today to try this minimalist SoMa spot which features innovative American cuisine and a renowned tasting menu. Boulevard won the James Beard Foundation’s Outstanding Restaurant in 2012 and has been consistently impressing us ever since. Located inside the beautiful Aûdiffred Building, the atmosphere is elegant with vibrant Belle Epoque details and spectacular Bay Bridge views. The high-end food menu is constructed by Executive Chef and Owner Nancy Oakes, who has accumulated many James Beard awards throughout the years. Her accessible yet groundbreaking and decadent dishes have kept diners returning for decades. Daniel Patterson opened Coi in 2006 in the North Beach neighborhood of San Francisco. Through the years, the restaurant has earned four stars from the San Francisco Chronicle and went from two to three Michelin stars in 2018, making it one of just seven three-starred restaurants in San Francisco. Shortly after taking home the 2014 award naming him the best chef in the west, Daniel left the kitchen to focus on other projects through the Alta Group. Then, Matthew Kirkley stepping in to bring the restaurant to three Michelin stars and today, the kitchen is run by Chef Erik Anderson. With a combination of classic French cooking, inventive use of local ingredients and personable and impeccable service, Gary Danko has become one of the absolute best places for a fine dining experience in San Francisco. The graceful and sophisticated dining room will have you channeling your inner Humphrey Bogart and the menus will have you swooning. Choose from three, four or five courses on their dinner menu or choose the tasting menu and pair it all with a wine from one of the best wine lists in the region. The famous eatery housed inside the San Francisco Museum of Modern Art, In Situ is a collaborative exhibition restaurant which brings together a revolving collection of culinary influencers, innovators and icons to develop a unique cultural and culinary experience. In 2018, its unique design by Aidlin Darling Design landed it the Outstanding Restaurant Design award in the 76 seats and over category. Jardinière has been serving the Hayes Valley for 21 years. Through those years, Chef Traci Des Jardins’ signature restaurant has become a constantly impressive and experimental food destination. 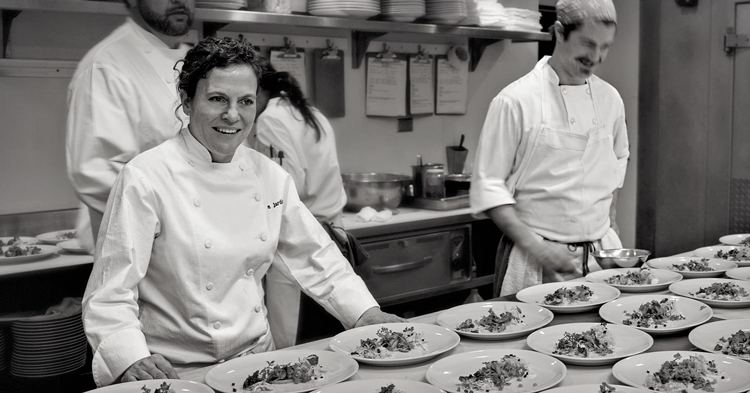 And in 2007, her work landed her the title of the best chef in the Pacific region. Prepared with local ingredients, the French-inspired menu is both subtle and breathtaking. Paired with the elegant dining space and easy atmosphere, it’s the perfect quiet and quaint San Francisco restaurant. In 2014, The Slanted Door won the James Beard award for Outstanding Restaurant and it has been engendering local pride ever since. The team serves up a menu of Vietnamese-inspired dishes born from in-depth ingredient studies, test kitchen successes, and local, California ingredients. For every item on the menu, Executive Chef Charles Phan—who won Best Chef: California in 2004—goes to the original source region of that item so he can fully understand its uses, its inspiration and its flavors. The story of State Bird Provisions starts with a recipe for serving quail, the California state bird, and continues today with what has become one of the Bay Area’s favorite eateries. Led by Chefs Stuart Brioza and Nicole Krasinski who were named the best chefs in the west together in 2015, the menu changes frequently to reflect local, seasonal ingredients and the creativity of the team. Tartine makes an appearance on every list of San Francisco’s best and most well-known bakeries. Its national renown has made it an SF classic. In 2008, Chefs Chad Robertson and Elisabeth Prueitt, together, brought home the James Beard Award for Outstanding Pastry Chef, and they’ve been producing mouth-watering breads and treats consistently ever since. In 2017, Tartine Manufactory was nominated as the country’s Best New Restaurant and we still anticipate an award for this all-day eatery and market! The long list of accolades at Quince includes Chef Michael Tusk’s James Beard Award in 2011, three Michelin stars earned in 2017, and four stars awarded by the San Francisco Chronicle. The nightly-changing tasting menu is the epitome of Californian contemporary cuisine as it highlights the restaurant’s unique partnership with Fresh Run Farm, one of the earliest certified organic farms on the West Coast. Since 2003, Zuni Café has brought home three of the James Beard Foundation’s most coveted awards, including Outstanding Restaurant in 2003 and Outstanding Chef in 2004 thanks to Chef Judy Rodgers. Her Eurocentric and adventurous menu changes daily and is driven by seasonal, organic ingredients. If you’ve tried any of these award-winning restaurants, tell us about your experience in the comments below!